This confidentiality policy sets out the rules implemented by our organization for the protection of physical persons regarding the processing and free flow of personal data. The rules listed below apply to the processing of personal data collected by our application and called to appear in a file as part of the delivery of our service, whether or not payment is required. ‘cross-border processing’ means either: processing of personal data which takes place in the context of the activities of establishments in more than one Member State of a controller or processor in the Union where the controller or processor is established in more than one Member State; or processing of personal data which takes place in the context of the activities of a single establishment of a controller or processor in the Union but which substantially affects or is likely to substantially affect data subjects in more than one Member State. General data protection regulation, UE, 2016, c 1, art 4. For personal data processing to be deemed licit, the user must have consented to the processing of his personal data for the purposes set forth in Section 5. LiGRE processes personal data once it has obtained the user’s consent. The user can withdraw his consent at any time, and this will not compromise the lawfulness of the data processing, which means that the data will not be processed for purposes other than those explained in Section 5. When the user withdraws his consent, his personal data is no longer collected and kept. The personal data collected by the application is provided by the user who has consented to it, is relevant and is processed for the purposes explained in this policy. Personal data is collected when processing requires user identification. Personal data collected for processing not requiring the identification of a person will not be kept. Identification data such as the last name, first name, user language, email address and password is collected to create a user account and allow the user to reconnect to his account, but also to provide support to the user whenever necessary or upon his request. The user can also choose to create his or her account by associating a social media account (Facebook or Google). In this case, only an authentication ID is exchanged. Data collected upon using the application remains optional and so the user can decide whether or not to provide it. This data, such as information on the project, or the bibliography of the documents or photo, is used by users who want to create a public page for their project. This data is not used for profiling purposes. Files uploaded by the user to carry out his project are kept and are not accessed by the members of our team unless the user in charge of this data asks for assistance or support. Files uploaded by the user to use the automatic transcription are transferred to an I.S.O. who transcribes them and sends them to LiGRE. The I.S.O. processes the file automatically (including fragmentation). No other personal data is transmitted, only the file to be transcribed is transferred to the I.S.O. The address is collected when a product is purchased to know what sales taxes must be invoiced and in what currency the transaction must be billed. When a user makes a purchase, LiGRE uses the PayPal platform. LiGRE only collects the data that PayPal sends. Bank details are not passed on. PayPal sends LiGRE information on whether or not the payment went through successfully, the first and last name of the buyer, his country of residence, the amount of the purchase and the identification numbers generated automatically by PayPal to help identify the transactions. Some other personal data is not collected by LiGRE but can be obtained occasionally for support inquiries; it is only used if necessary, to provide the user with technical support when he reports a problem with his account, or can be collected in temporary tables used to ensure the security of our application. This includes the browser, IP address and location data. 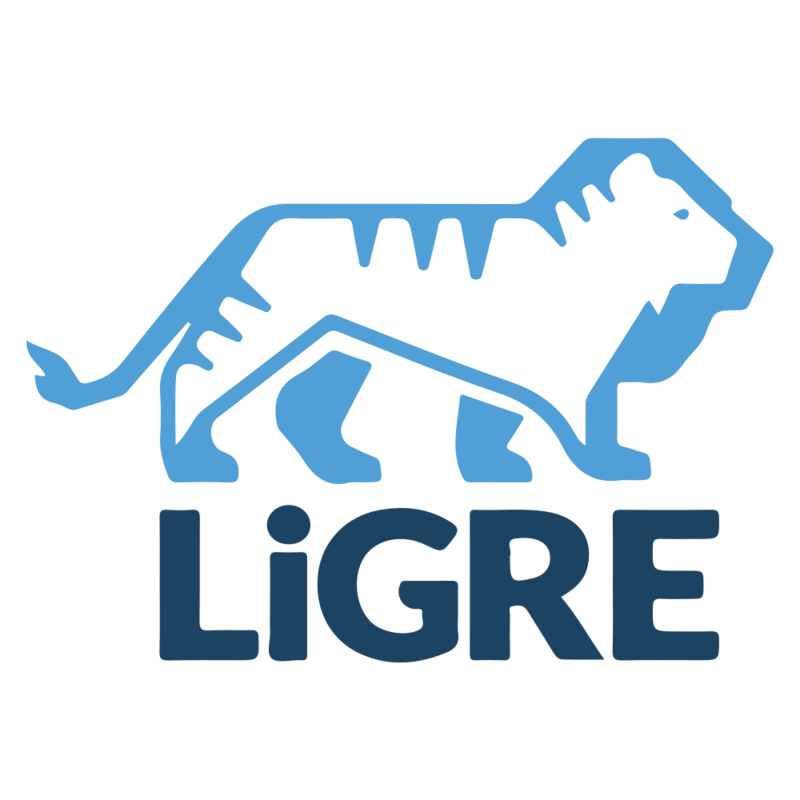 Users can send LiGRE a request regarding their personal data at any time at the following address: support@ligresoftware.com. LiGRE has 30 days to answer these requests and does not require payment for the answers provided. Except for requests deemed repetitive or abusive, LiGRE intends to honour all personal data requests addressed to it within the prescribed deadline. The purposes and interests for which the personal data is collected are mentioned in Section 5 of this policy. The period during which the data is kept does not extend beyond the data processing period. The user can ask LiGRE to access his data and also has the right to ask that this data be corrected or deleted. The user also has the right to withdraw his consent at any time and to lodge a complaint before any supervisory authority. The user has the right to obtain confirmation on whether or not his personal data is processed. The user has the right to know the purposes of the processing, the data collected, the people with whom this data can be shared and the period during which the data is kept. The user has the right to ask that the data be corrected or deleted. The user has a right to request deletion, also called the right to be forgotten, as soon as possible after the user withdraws his consent or deactivates his user account. The user can make this request at any time, which will lead to the deletion of his user account as well as his personal data kept. If he does not agree with the processing operations used. The user has the right to be warned about anything having to do with the correction or deletion of his data, or to the limit of the personal data processing. The user has the right to ask to receive his personal data and to use it with another personal responsible for processing. The user can object to the processing of his personal data at any time if he namely fears profiling; however, LiGRE does not do any profiling. The user can ask to be excluded from decisions based on automatic processing such as profiling; however, LiGRE does not engage in such activities. The scope of LiGRE’s obligations and the users’ rights can be limited by legislation submitted by a public authority such as a State. A limit constitutes a necessary and proportionate measure to guarantee national security, the national defence, public safety, prevention and detection of criminal offences, protection of the independence of legal proceedings, prevention and detection of breaches of ethics for regulated professions, protection of the user and his rights and freedoms and execution of the demands made in the Civil Code. To minimize the risks of violating the users’ privacy or confidentiality, LiGRE’s processing rules include advanced identification measures, namely pseudonymization, minimization of data collected, and fragmentation and partitioning of data generated in and uploaded to its cloud computing environment. LiGRE strives to guarantee its users an annual availability rate of 99.9% for its cloud computing environment; however, this guarantee excludes the interruptions needed to ensure maintenance of the application and network. It also excludes any event resulting from an “Act of God”.